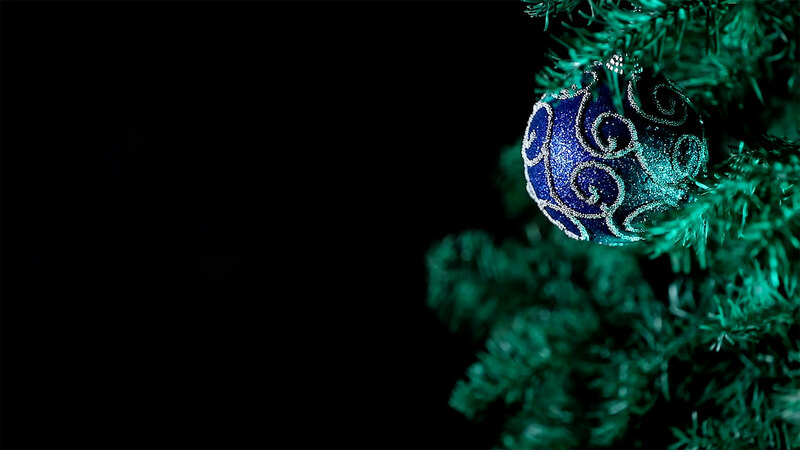 This is a holiday video of a blue ornament hanging from a Christmas tree. The background is black allowing space for text and copy. There are no people in this video. This video would work well for church services and worship.This file is mp4 30 seconds long 1080p.